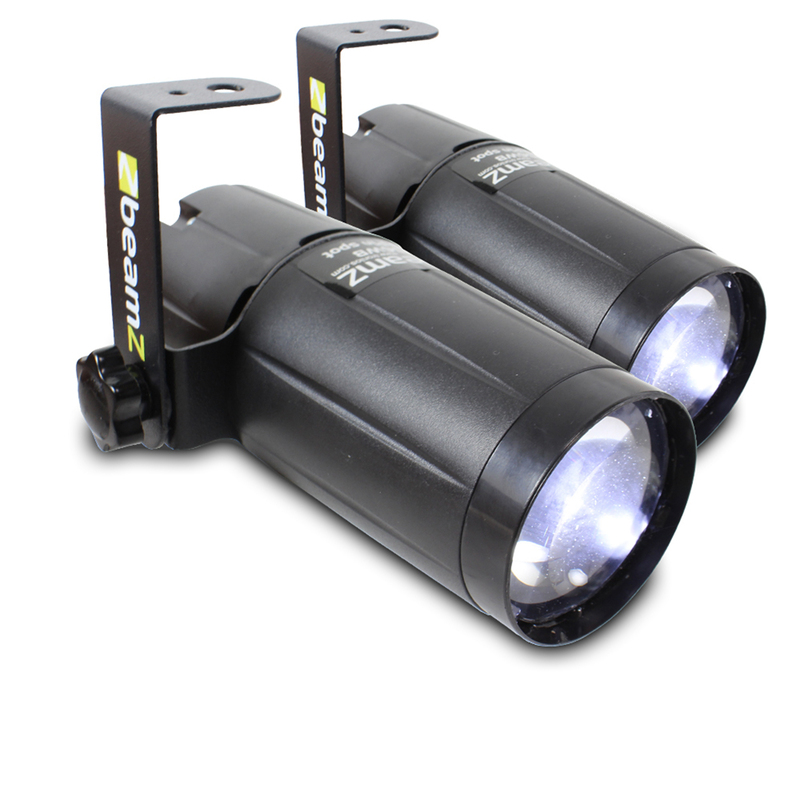 This lighting package contains two of the Beamz Pinspot LED lights; ideal for drawing focus and illuminating areas at parties, events and venues. These lights can be attached to T-bar, floor stand or other frames to engulf objects and areas in a stark white pool of light. 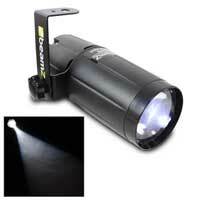 Recommended for the mobile DJ, travelling bands and artists who need a speedy setup.